Our team of relocation experts will discuss your goals for your relocation and be able to connect you with the agent who best fits your needs. They’ll take into consideration where you’re selling, where you’d like to buy, and everything you’d like to find in your new home and neighborhood. As Vice President of Relocation, Shane will work alongside Relocation Director, Lauren DiStefano as well as Sarah Hatch, the Relocation Coordinator and will be responsible for further developing Lamacchia’s Relocation business through its existing network from Leading Real Estate Companies of the World, various relocation management companies, and numerous Corporations, Universities, and Hospitals throughout New England. Shane is a member of the Relocation Directors Council and the Worldwide Employee Relocation Council (ERC) which is a premier association for global mobility for professionals. His connection with these highly reputable councils will help support his role with Lamacchia Relocation. To read more about Shane, click HERE. Sarah works hand-in-hand with the company’s Relocation Director, Lauren DiStefano, on ensuring that every client is well cared for through our affiliation with Leading Real Estate Companies of the World. She is in constant communication with the network affiliates and is dedicated to building strong relationships with each coordinator to ensure an enduring relationship. To read more about Sarah, click HERE. The many factors that determine your new home state can be overwhelming. We have outlined some information if you’re moving from Massachusetts to common destinations for Massachusetts transplants: New Hampshire, Florida, California and Texas, as well as to other parts of the world. Our relocation specialists have also put together a list of Tips for a Successful Relocation in our blog post. My fiancé and I were looking for a home that was out of the area in North Carolina and LaMacchia's relocation service was absolutely outstanding! We had switched locations numerous times and they were very accommodating. It has been almost 2 weeks since we've moved into our new home and we couldn't be happier. Not to mention they sent a beautiful and delicious gift basket! We will definitely be using and recommending their services to others in the future. 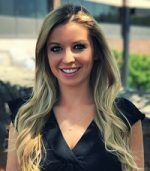 I reached out to Mackenzie Mell with The Ashiana group and Lamacchia Realty, when it was time for me to purchase a house in the Virginia Beach, Virginia area. Through her Lending Re program, she was able to put me in touch with a realtor in the area who helped me purchase my second home. I had a difficult situation, being between duty stations for the military, but everything worked out. I got the support I really needed at a very stressful point in my life. I am now in my new home, making it my own. I recommend Mackenzie Mell, The Ashiana Group and Lamacchia realty to anyone who is getting ready to purchase a home. When my husband and I decided to sell our home and my parents home in Weston and move somewhere west of Worcester, I contacted a few real estate agents in the Central Mass area whose names were given to me by friends. None of them were very helpful so when my husband and I saw a house that we were interested in in the Auburn area I looked online for another agent and saw Lamacchia who I recognized from TV commercials. My phone call to Lamacchia was the best decision we ever made. We met Karole O'Leary at the Auburn house that we were interested in and a great friendship was born. We enjoyed working with Karole right away. We could tell that her goal was for us to find the house of our dreams. When we found our house in Spencer Karole handled all the negotiations, helped us get a very fair deal and worked it out so that we could bid on the house even though we had not sold our houses yet. We just can't say enough about Karole and how much we enjoyed working with her. This fall we are planning to have Karole over for a visit to our new house. When we all fell in love with the house, including Karole, we declared that the screen porch and the kitchen, which both have beautiful views, were officially Karole's rooms. Can't wait to have a glass of wine with her in either room! You are fortunate to have such a great person working for your company. I usually have a love-hate relationship with sales people because they can be too agreeable and come off phoney but Karole is genuine through and through - I would recommend her to everyone. My husband and I spoke with three different realtors and Lamacchia Realty, by far, had the best presentation as to how they would market our house and delivered. We also had the extra burden of living out of state and our realtor, Deanna, was so sharp and on the ball about everything, understanding our every need. She made a difficult process (for us) go like clock work! She was the best!! I recently moved to MA from CA and trying to find a new home from 3,000 miles away was tough. I found an apartment listing online and clicked the link to "send me more information". Kristen got back to me first thing the next morning to provide me with information about the property and kept in touch with me as we worked through different ways for me to see the apartment. I had a friend go to the open house in place of my and we did a virtual tour, and I fell in love. Kristen got me the paperwork right away and made it so easy for us to secure our new home from across the country. THEN she blew me away by going the extra mile to message me to make sure we had arrived safely and to see if there was anything else we needed. I can't imagine having done this without her - she definitely helped to make this move stress free. I am so looking forward to working with her again when we are ready to buy.